In medical emergencies, minutes matter. Going to an ER that’s part of an acute care hospital has many advantages, especially when a higher level of care is needed. Hip replacement surgery restores quality of life for local resident. At Manatee Memorial Hospital, doctors continue to have success with the Watchman™ and TAVR procedures. 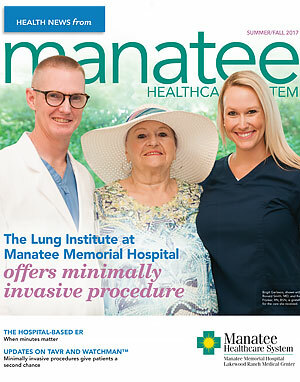 The Lung Institute at Manatee Memorial Hospital offers minimally invasive lung procedure.